1. Are there crew members aboard the yachts? All Azure Ultra yacht charters are fully crewed. A team consisting of a captain and steward/ess is present on board at all times to provide you with five-star service and ensure your full safety throughout your stay. 2. Where are the yachts berthed? 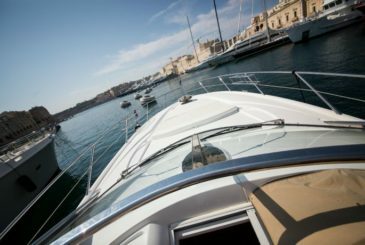 Our Sunseeker fleet is based at the world-class Grand Harbour Marina in the historical port town of Birgu. If you’re staying in another location, we can arrange for your taxi transfer to and from Birgu Waterfront. We will also organise your pickup from and drop-off at other jetties around the Maltese coast upon request, with fuel consumption for the journey deducted from your charter’s fuel allowance. 3. Which locations around the Maltese Islands feature on Azure Ultra charters? Azure Ultra is your opportunity to take in the sights and sounds of the Maltese Islands from the sea perspective. Among the most popular local spots to the north of the archipelago are Anchor Bay – home of the colourful Popeye film set, the Blue Flag beach of Golden Bay, and the coastline gems of Dwejra, Gozo and Comino’s Blue Lagoon. South of the Maltese mainland lie the sandy Pretty Bay, the secluded cove at St Peter’s Pool, and the picturesque fishing village of Marsaxlokk. 4. What other destinations does Azure Ultra cover within the Mediterranean region? Your Azure Ultra charter specialist can recommend a range of options for your tailor-made yacht charter itinerary across the Mediterranean. Our professional crew will be happy to accompany you to spectacular harbours and inlets around the Italian coast. Situated well within reach, the neighbouring island of Sicily also offers a host of attractions to explore on an overnight or weekend charter. 5. Who decides where the yacht is going to cruise? 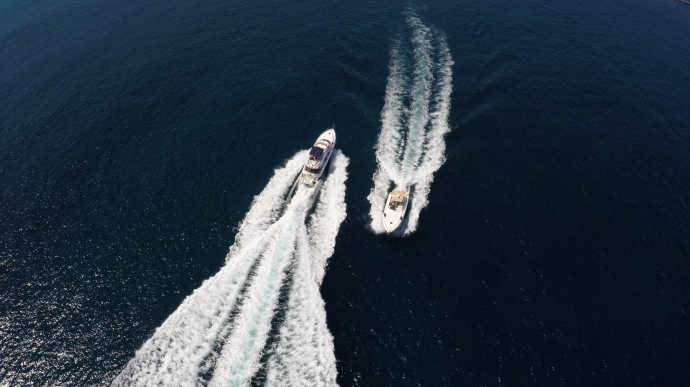 During the reservation process, your dedicated charter specialist will help design and plan a yacht charter itinerary that’s tailored to your specific requests. The charter programme will be based on your budget, fuel consumption and any other requirements discussed. The fulfilment of your itinerary finally remains at your captain’s discretion, whose main priority is to ensure your full safety at all times, and will depend on the weather conditions on the day/s of your booked charter. 6. What should I pack for my luxury yacht charter? You are requested to carry your personal belongings in a soft bag that can be easily rolled up and stowed away after unpacking. Don’t forget your bathing costume and beach towel, snorkels, hat and sunglasses when preparing for your day charter. Bring a camera to capture those fun-filled moments and your favourite holiday music to listen to while on board. For longer charters, we recommend wearing lightweight, comfortable clothing. Towels, bath robes, slippers and luxury toiletries will be provided for overnight stays. 7. Are there any other important things I mustn’t forget to bring along? We advise you to make sure all your essentials are within reach. These may include travel sickness tablets, any required medication, sun care products, and any chargers needed to stay connected. As shoes are not worn on board, light-coloured flip flops dedicated for use on deck should also be brought along; alternatively these can be provided by your crew upon request. 8. What’s included in the lunch menu? On Azure Ultra day charters, your stewardess will present you with a freshly prepared light lunch spread consisting of local and Mediterranean delicacies. Click to view/download a sample menu. If you have any specific dietary requirements, or wish to treat yourself to an on-board gastronomic experience, do get in touch with us ahead of your charter date. Our team will be ready to cater for your requests, offering alternative menu proposals and taking care of all necessary dining arrangements. 9. Can land-based and other activities or excursions be arranged when visiting locations beyond the Maltese Islands? Absolutely. Our team will be able to organise any aspect of your charter, whether on board or ashore, with a little prior notice. Whether you’re after dolphin watching in the Med, exhilarating water sport activities, a historical harbour tour, five-star al fresco dining, or tickets to an open-air theatrical performance, we will seamlessly organise your experience from start to finish. 10. What services, facilities and activities are available on board? Snorkelling equipment is provided to guests on all charters. Home comforts on board include luxurious sleeping accommodation, air conditioning throughout, hot showers and a fully equipped kitchen. All yachts come with Wi-Fi and Bluetooth connection, satellite TV, LCD screens and DVD/MP3 player with surround sound system. Dry cleaning services from the marina can be arranged on your behalf. Want to ask the Azure Ultra crew a question? Enjoy a Mediterranean lunch with a variety of flavours & tantalising tastes, served on premium Sunseeker plates & cutlery upon crisp linen tablecloths.